I hope you are enjoying the lovely fall weather. I am! Did you know World Card Making Day is celebrated on October 1st? Stampin Up has announced a special sale October 1-5 to recognize this special day. Watch you inbox later this week for more information on this (and another!) special offer. I have added a card class to my schedule next week to mark this special day; details below. Thursday, September 29th, 7-9pm; make 4 cards (2 each of 2 designs) featuring Flourishing Phrases and coordinating framelits. Cost is $10 or free with a minimum order. RSVP now! Monday, October 3rd, 7-9pm, make 4 cards (2 each of 2 designs) in honor of World Card making Day. Cost is $10 or free with a minimum order. Reserve your spot today! October card classes—Monday October 17th and Tuesday October 25th, themes TBD. Christmas Stamp-a-Stack save the date(s)! Four dates available: Friday or Saturday Nov 11-12 and Friday or Saturday Nov 18-19. Make 16 cards, 4 each of 4 designs, for $40. Cost includes pack of Designer Series Specialty Paper (DSP) and a coordinating cardstock. The cards for each Fri/Sat session will be different; the first session (Nov 11-12) features This is Christmas DSP and coordinating cardstock, the next session (Nov 18-19) features Candy Cane Lane DSP and coordinating cardstock. Take the leftovers home and make more cards! RSVP with payment no later than October 21st. Space is limited, RSVP today! Have you tried Paper Pumpkin? Right now is a great time to get in on the fun. BOGO ALERT! For the FIRST time ever, FIRST-time subscribers can buy their FIRST month and get their second month completely FREE! Sign up at PaperPumpkin.com and use BOGO for the promo code. Choose me as your Stampin Up demo when you subscribe (or use the link below to automatically select me) and you get a free crafting night every month. Bring your kit to my house and get your pumpkin on! Pumpkin kit night is held at the end of the month, 7-9pm; the upcoming Pumpkin nights are September 30th and October 28th. Click here to subscribe (links to me) and join the fun. But wait, there are more perks for subscribing! Only kit subscribers can purchase kit refills and additional kits (while supplies last). Sign up today! Stampin Up news.... the 2016 Holiday catalog is here! Big Stampin Up news….the Holiday catalog is live. The catalog is fabulous! I’m hosting a Holiday catalog open house on Saturday, September 17th, 12-2pm. Stop by and a few make ‘n takes featuring items from the new catalog and pick up a catalog. Can’t make it but can’t wait to see the Holiday catalog? No worries! Let me know and I’ll get a copy to you ASAP. Stamp class tomorrow, Tuesday September 6th…details below; get a sneak peek at one of the Christmas sets (Cookie Cutter Christmas) used to make a non-Christmas card! Stampin Up Holiday catalog is live; shop through January 3rd. Special Offers are here! Save 25% on select items each week through September 21st. The week 1 items on sale are available through September 7th; see attached flyer and place your order today! There is still time to get Stampin Up’s limited-time bundle, Thoughtful Branches (144328) while supplies last. But once it’s gone, it’s gone. 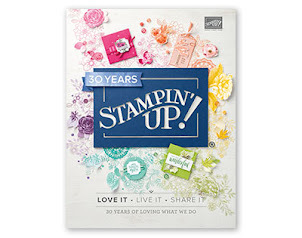 Stampin Up has announced this set will NOT be sold in the future. This is a versatile set and I'm having fun stamping with it--I've made a Christmas card and used it for several other cards. Tuesday, September 6th, 7-9pm, make 4 birthday (or baby) cards (2 each of 2 designs) featuring Foxy Friends stamp set and Cookie Cutter Christmas stamp set. Tuition is $10 or free with a minimum order. Holiday Catalog Open House, Saturday September 17th, 12-2pm. RSVPs appreciated! Christmas Stamp-a-Stack – save the date(s)! Four dates available: Friday or Saturday Nov 11-12 and Friday or Saturday Nov 18-19. Make 16 cards, 4 each of 4 designs, for $40. Cost includes pack of This is Christmas Designer Series Specialty Paper (DSP) and This is Christmas pack of coordinating cardstock, take the leftovers home and make more cards! RSVP with payment no later than October 21st.